Over the years, one of my favorite adds to a landscape lighting plan is separate security lighting...(in my presentations, I define security lighting as a brighter downlighting (moonlighting) effect) You can see the dramatic impact it can have on a landscape in these project photos. Below, the homeowner had a large family and enjoyed setting up tables and chairs in their wonderful back garden for family gatherings. They enjoy a softly illuminated back garden for their all night security and a security light on a separate switch they could only turn on when entertaining. I've designed and installed this type of security lighting for homeowners throughout the country to illuminate motor courts for valet parking, sport courts, outdoor kitchen areas, putting greens, and even helipads. If you would like more information on this technique please contact us. 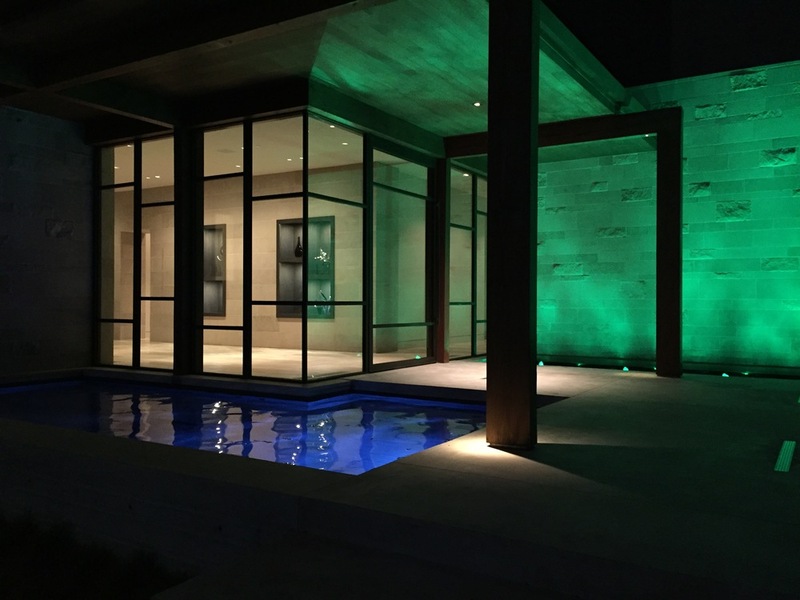 E2 Illumination Designs is a design-build-maintatin landscape lighting company based in Dallas/Ft. Worth while continually working throughout the country wherever fine outdoor lighting design is demanded.